Bring the Maid of Honor, bring the Maids, bring Mom, and the flower girl too! Oh yeah, and don't forget the Bride! 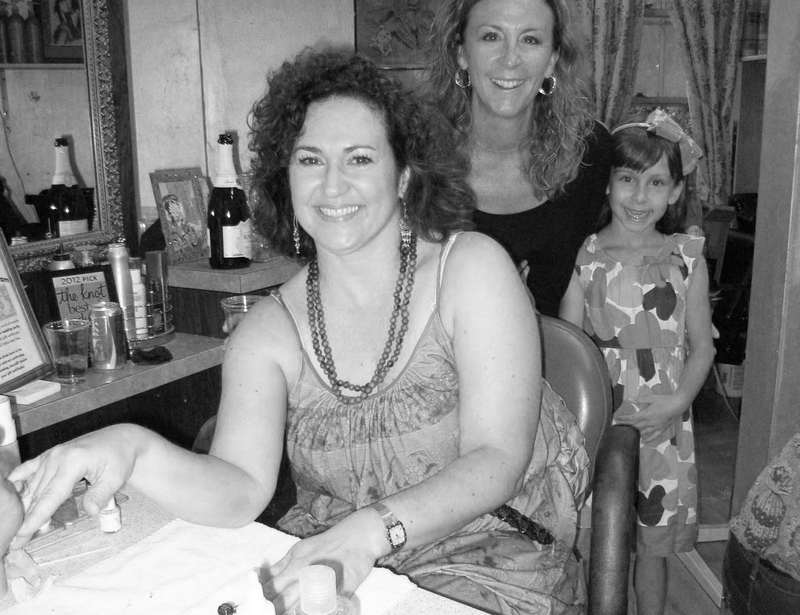 Bridal nail parties at Rockabetty's can be scheduled the Wednesday, Thursday, or Friday before your wedding day! We do express manis/pedis with shellac so you can have beautiful durable nails all the weekend through, and even longer than that! (lasts up to 2 weeks, sometimes longer!) We have a lovely array of shades to compliment everyones wedding attire! You can even have french done in a variety of pink hues, with or without sparkles! Bring food and champagne and really make it a party! Space is very limited, and typically requires some pre-planning to make sure we are fully staffed. Inquire early! Don't wait until the last minute! Email or text Angie at brideheads@gmail.com or 608.514.1910 to set up the perfect timeframe for you and your bridal entourage! *All nail parties are done at Rockabetty's Salon & Spa, we do not do mobile services for nails.